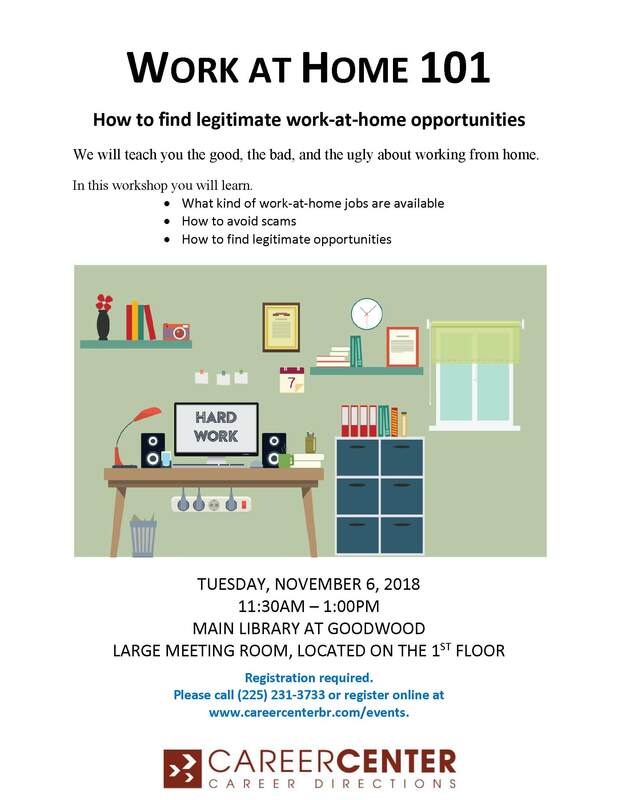 This great workshop from the Career Center will teach you how to find reliable sources of income you can find at home! Please call (225) 231-3733 or go online to register. Previous Previous post: Watch “Coco” Friday, October 26th, at the Main Library!